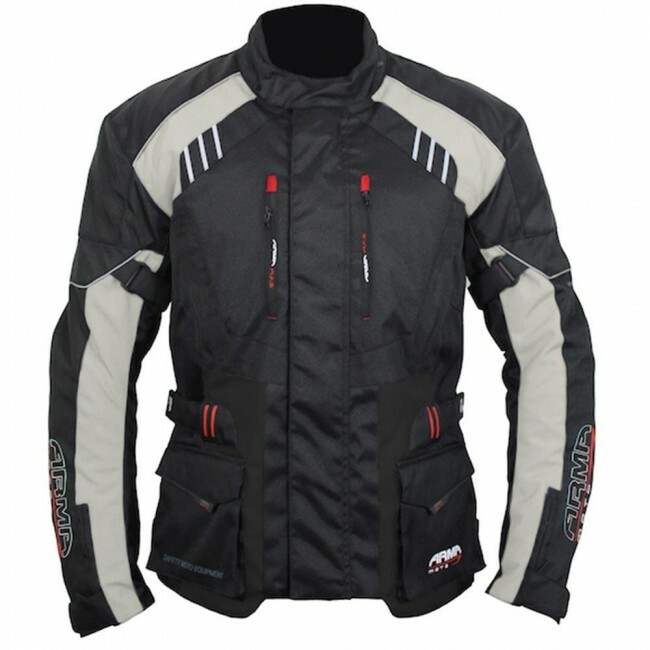 ARMR MOTO brings top-spec performance to the entry-level textile jacket sector. Here at ARMR MOTO, we don’t think great kit should just be available at huge cost. Instead, we work hard to provide high performance riding gear at all price points. And nothing proves this more than our Kiso 3 textile jacket. 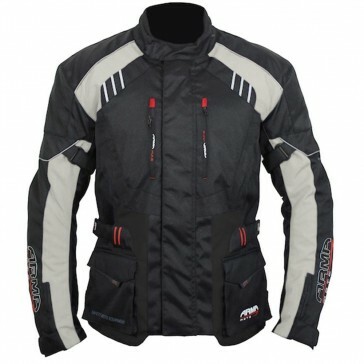 Now in its third generation, this jacket really can do it all, and is our best-selling design. We start off with a tough Poly Tech 600DN textile outer shell, lined by a DRY TEK breathable waterproof membrane, with all seams taped for improved weather resistance. Next, we add height-adjustable CE-approved armour in elbows and shoulders, completing the protective design with pockets for (optional) back and chest protectors. Inside the waterproof, armoured outer jacket is a Thermoline thermal liner for extra warmth in colder conditions. And when the mercury rises, the liner can be removed, and zipped vents open to activate the ARMR AFS Air Flow System. There are two external waterproof pockets, plus waterproof wallet pocket and a special inner mobile phone pocket. There’s also a special cable routing solution for earphones, preventing cables from getting caught up while riding. SCOTCHLITE and VISION TECH reflective piping and panels add visibility in poor conditions, and the Kiso 3 has YKK zips all round, plus fully adjustable waist and arm closures for the perfect fit. The Kiso 3 jacket is available in black, black/stone and black/fluorescent yellow in a massive range of men’s sizes – XS to 10XL. The Kiso 3 is also available as a bespoke ladies fit, in sizes 8 – 24, and in black, black/plum and black/stone colourways.